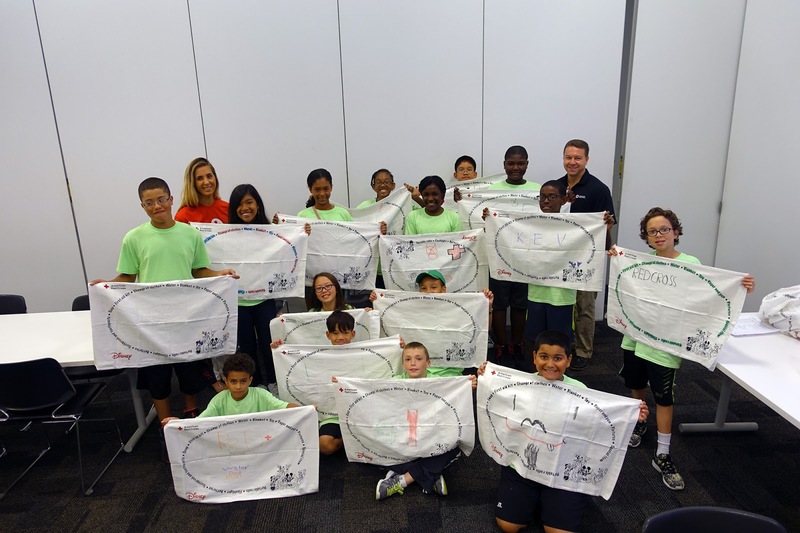 Children of military families learn disaster preparedness through Pillowcase Project. Over the last 7 days, the Greater New York Red Cross provided emergency assistance to 123 adults and 53 children following 46 local disasters. Here are some highlights from last week and a preview of upcoming activities (see below). Sunday afternoon, the Red Cross responded to a fire on E. 96th street in Brooklyn. Five families were assisted with temporary housing, emergency funds and referrals to city agencies to aid their road to recovery. Foresters Insurance employees visited the Long Island Red Cross on Saturday for Citizens Preparedness Training, a program to get NY residents better prepared for the unexpected. On Friday, the Javits Center donated 600 chairs to the Red Cross to be used in future disaster relief operations and at Red Cross chapters. On Wednesday, children of military families from Fort Hamilton (Brooklyn) stopped by the Greater New York HQ for the Pillowcase Project, a program that teaches children about emergency preparedness. On Tuesday, we posted a video of D.A.R.T Team Chairman, Doug Bainton reflecting on his recent deployment to Oklahoma. Aug 5: From 12:00 pm to 1:00pm; 520 West 49th Street. Raul Rivera-Nunez, Regional Director – Planning, Readiness, & Situational Awareness, will be speaking about his recent mission to Nepal. Aug 5, 7, 8: Red Cross blood drives; 1 to 7pm; 520 West 49th Street, Manhattan. Schedule an appointment to donate today. We’re excited to announce that we’ve join Instagram! Please follow us. Special thanks to Deloitte, who is volunteering over 200 hours of consulting time (through our terrific board member Dorothy Alpert) to examine processes and systems that can be streamlined and to help staff and volunteers achieve a better work/life balance. In the coming weeks, Red Cross will continue to canvass neighborhoods to teach fire safety and install free smoke alarms as part of our Home Fire Preparedness Campaign. If you are interested in a full-time leadership position to help prevent home fires in New York City, check out the following job listings: Regional Individual and Community Preparedness Manager, Operations Manager, Manager, Information & Planning, Lead Specialists for Brooklyn Operations and Bronx Operations. Excited to join Instagram. Sleeves up. Hearts open. All in.